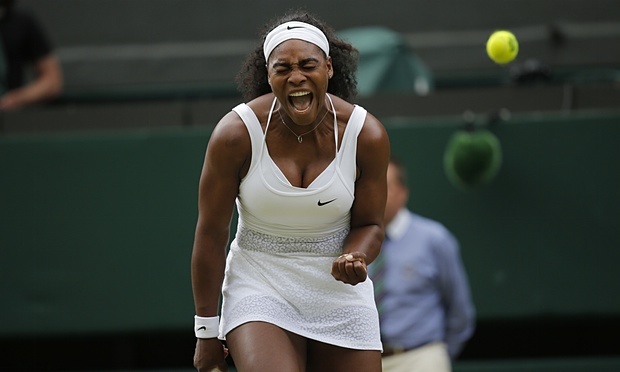 On July 6, Serena Williams beat her sister, Venus to earn a spot in the Wimbledon quarterfinals. Just hours later on July 7, to further showcase her dominance, she defeated Victoria Azarenka in three sets (3-6, 6-2, and 6-3) to advance to the semi-finals. These back-to-back wins put Serena two steps closer to winning her third consecutive major tournament this year. Against Venus, Serena took the match in two straight sets (6-4 and 6-3). This brought her all-time record to 15-11 against her older sister. “I thought, I’m 33 and she’s 35. I don’t know how many more moments like this youŕe going to have,” said Williams after another chapter in the siblings’ storied rivalry. Serena has been one of the most dominant players in women’s tennis. She is currently ranked the WTA number one player in the world, has won 20 grand slam tournaments, and has only lost one match so far in 2015. A win at Wimbledon this year would make Serena Williams the first person to win three major tournaments in a row since she won four in a row in 2002-2003. It would also leave her one major way from being the first player since 1988 (Steffi Graf) to win all four majors in calendar year. Williams is now scheduled to play another long time rival, Maria Sharapova, who’s ranked fourth in the world, on Thursday. Their last meeting was in the Australian Open Finals in January, where Serena won the title. Williams is 17-2 all-time against Sharapova.